JERUSALEM (JTA) — Israeli Supreme Court justices chastised the government for not implementing the government’s plan to create an ecumenical prayer section at the Western Wall. Monday’s hearing was in response to a 3-year-old petition complaining about the treatment of egalitarian worshippers at the site. At the hearing, the justices called for the plan to be implemented. The petition, which predated the plan, was filed by Women of the Wall; Kolech, a feminist religious forum, and the Conservative and Reform movements. The justices gave the petitioners three weeks to update their complaint to include developments at the site over the last several months. The agreement announced in January would expand the egalitarian section at the wall and place it under the authority of a pluralist committee while solidifying haredi Orthodox control over the site’s traditional, Orthodox section. Women of the Wall, the women’s prayer group that holds monthly services in the Orthodox section, would move to the non-Orthodox section once the deal is implemented. The agreement was negotiated among Women of the Wall, the site’s haredi Orthodox leadership, the Jewish Agency for Israel, the Israeli government, and the Reform and Conservative movements. All parties praised the decision as path breaking at the time. 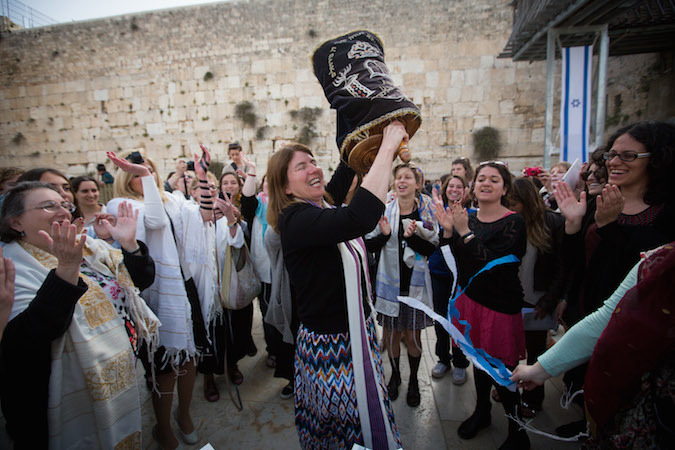 Anat Hoffman, chair of Women of the Wall, attended the hearing wearing a prayer shawl, or tallit.